Over time, volume is lost throughout the face. This leads to sagging, wrinkled skin which can add years to a person’s appearance. In the past, patients used more traditional fillers of gel-like material to replace the volume; however, the results are not long-lasting and require recurrent upkeep. Sculptra is a new and improved version of dermal fillers of the past. Sculptra corrects volume loss within the skin while also promoting collagen production within the dermis for results that last and continue to improve. Those who want further information regarding Sculptra’s advanced formula and the benefits it can provide are encouraged to contact Skin Perfect Medical Aesthetics and schedule a consultation with one of our talented and skilled physicians today! Sculptra is an injectable dermal filler that is used to correct hollowness and deeply set wrinkles and lines on the face. This filler is approved by the FDA to gradually replace lost collagen, which is one of the main factors of facial aging. Through the natural stages of aging, the skin begins to degenerate. This means that the elastin and collagen in the skin begin to break down faster than the body can replenish the loss. 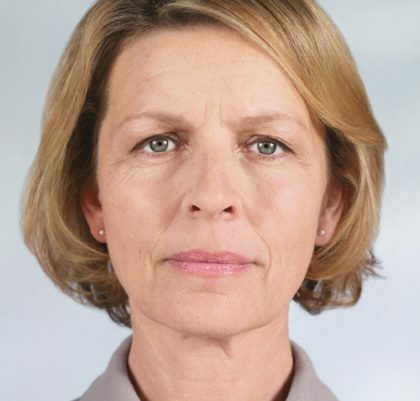 Through Sculptra injections, patients can fight the underlying causes of facial aging, not just the symptoms. We are proud to offer Sculptra as part of our large injectable selection at Skin Perfect Medical Aesthetics. This advanced formula is the gift that keeps on giving, providing patients with a treatment that continues to improve facial aging even weeks after the initial injection. Sculptra is injected deep into the dermis to provide immediate improvement to any indentations or hollowness in the face. Massaging the injected site is an essential part of the treatment process. This will help to evenly disperse the polylactic acid, or PLLA, consistently throughout the area of concern. Over the next few days after treatment, the components are absorbed, and any swelling will be resolved on its own. This may result in a temporary reappearance of the skin’s defect; however, microparticles of PLLA begin working deep within the dermis to replace lost collagen and reinforce skin structure. As the microparticles of PLLA are being absorbed into the dermis, a collagen framework is created to restore volume within the skin gradually. This results in an improvement wrinkles, folds, and indentations in with the skin. Over time, an increase in collagen production occurs and corrects the structural deficiency caused by the breakdown of collagen and fat atrophy. The series of Sculptra injections are also beneficial for subtle skin tightening, providing an even, for youthful skin surface. Because Sculptra provides real results that last. Not all treatments and injectables are created the same. Each one is designed to target different areas of the face, in turn, causing different effects. To promote collagen production, patients may have turned to collagen creams to correct skin degeneration; however, the collagen molecules are often too large to be topically applied and absorbed into the dermis. Therefore, these creams end up being used as a good moisturizer for very short-term skin improvement. Patients may also consider taking collagen dietary supplements to boost the body’s collagen production. The problem with this is that collagen is a protein and when protein is ingested, it will be broken down by the digestive system– making it very ineffective. Sculptra can be used to stimulate collagen production in the areas where the facial skin has begun to decline. This will help restore facial volume and continue to reduce the look of deep wrinkles and lines even after the treatment. Additionally, we are able to use Sculptra in an off-label capacity to augment the buttocks area! Depending on the patient’s particular concerns, they may require injections in one or more of these areas to receive their desired results. Injecting Sculptra into these areas helps to volumize and soften the face for a rejuvenated, younger-looking appearance. During the consultation, an evaluation will be performed to determine what areas of the face can best benefit from these injections. Patients who are interested in obtaining more information are encouraged to speak with one of our friendly members of staff to set up a consultation. Sculptra is used to restore volume in areas of the face where there has been significant fat loss. This injectable is a safe, synthetic, and biocompatible material that aids in the rebuilding of skin structure. Sculptra is the injectable form of polylactic acid or PLLA. Polylactic acid is synthesized from lactic acid, a component that is found naturally within the body, making it biocompatible and requiring no allergy pre-testing. When Sculptra is injected into the skin, it “jump-starts” the body’s production of collagen. Through these injections, more collagen is naturally produced which adds volume in the face to correct indentations, wrinkles, and folds. An additional benefit to these injections is how long the material lasts, Sculptra is a relatively thick substance, the plumping effect can last up to two years! This is significantly longer than most other dermal fillers. 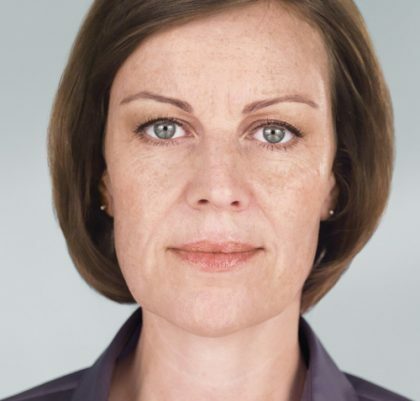 Both men and women who struggle with a loss in facial volume can experience dramatic results through Sculptra injections. 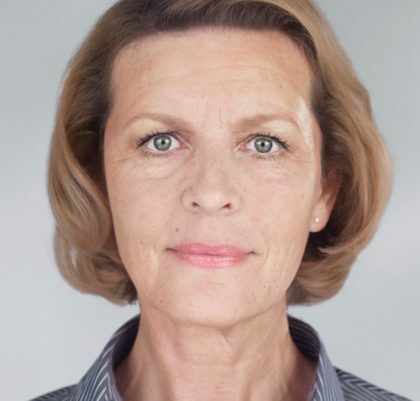 Patients who are looking to restore volume loss and correct wrinkles and lines through non-invasive measures will find that Sculptra can restore a more youthful aesthetic with little to no downtime at all. Patients considering this treatment should have no skin conditions that can pose a risk to the results or their health. We aks that patients maintain realistic expectations for the results of this treatment, understanding that it is best used to correct the early signs of aging. For more severe cases, a more invasive option may be better suited to provide the desired results, such as one of our laser treatments. During the consultation, the skin care specialist can make their recommendations for the best treatment route. The first step when considering Sculptra treatments is to come into one of our offices for a consultation. During this time, one of our skin care specialists will ask the patient about their concerns and what they are looking to improve through Sculptra. Next, the specialist will briefly review the patient’s medical background to ensure they have no underlying conditions that could negatively impact the results of the treatment. Lastly, the skin care technician will examine the facial skin and determine where the best sites for injection will be. 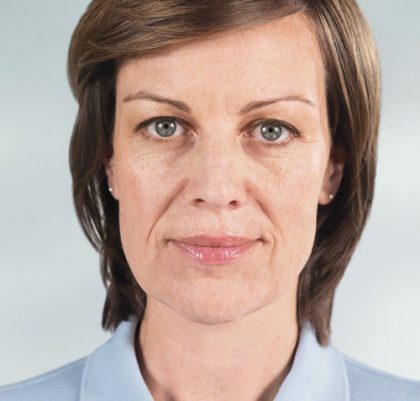 If deemed fit, patients will be able to receive their Sculptra treatment on the same day. To schedule a private consultation today, we ask that patients contact the office nearest them and request an appointment. In less than an hour patients can come in for a consultation, receive treatment, and begin improving the quality of their skin. Why wait any longer? There is no better time to fight unwanted signs of aging on the face! The Sculptra treatment will take less than an hour to complete. To provide comfort during the injections, the skin care technician will mix Sculptra with Lidocaine, an anesthetic. Also, a topical anesthetic can be applied to numb the treatment area to enhance a patient’s comfort level further. Before performing the treatment, the specialist will locate the best sites to administer the injections. The injections will then be strategically placed deep into the dermis until the desired aesthetic has been achieved. Immediately after the treatment is completed, patients might experience mild pinpoint bleeding, but it will go away shortly after. The long-term results from Sculptra are not immediate. Right after the injections, the face will appear more voluminous. However, as stated previously, there will be a subtle relapse in volume after the swelling dissipates and the new collagen has yet to rebuild the skin’s structure. Over the next several months, as the body’s collagen supply is replenished, patients will see a gradual improvement in their skin’s texture. Sculptra injections help keep facial skin looking natural, smooth, and rejuvenated. Typically, three Sculptra treatments are all that is needed to achieve the desired results. These treatments should be performed over the course of three months, receiving the injections about once every four weeks. After this series of treatments have been completed, patients will be able to enjoy their results for up to two years before another set of injections are necessary. The pricing of Sculptra injections will vary from patient to patient. The cost of treatment is based on the extent of treatment required and if additional procedures or treatments will be combined with the Sculptra injections for a more comprehensive treatment and overall better results. Patients are required to come into the office for a consultation before receiving treatment. Upon evaluation, the physician will be able to provide the patient with an accurate quote for their treatment.